boots, walkie-talkie, shoulder holster with .45. 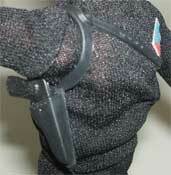 AJ’s shoulder holster has not been factory reproduced. 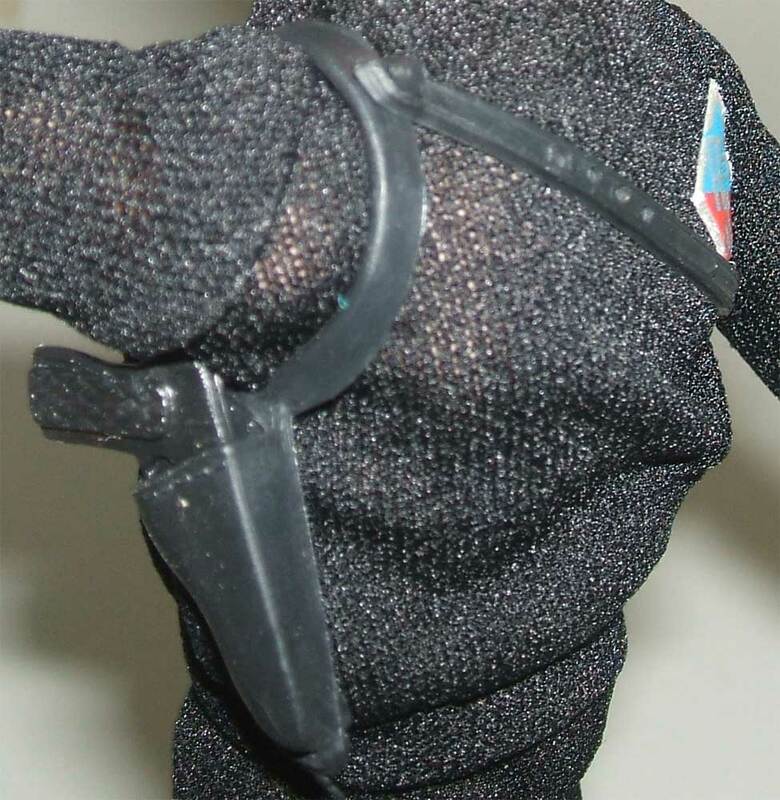 Secret Agent came with the same black knife that can be found with Tarzan from WGSH. The orginal is stamped H.K. on the blade. 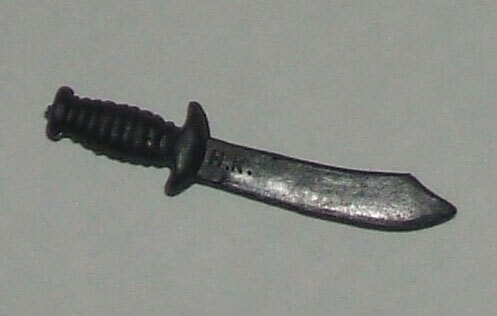 There are no factory made reproductions of this knife in black, although there is a CTVT version in silver. Secret Agents black shirt has been reproduced by CTVT for their Jet Jungle reproduction. The repro fits much bigger, has larger cuffs, and the waistband kind of bulges out instead of tucks under like the original. 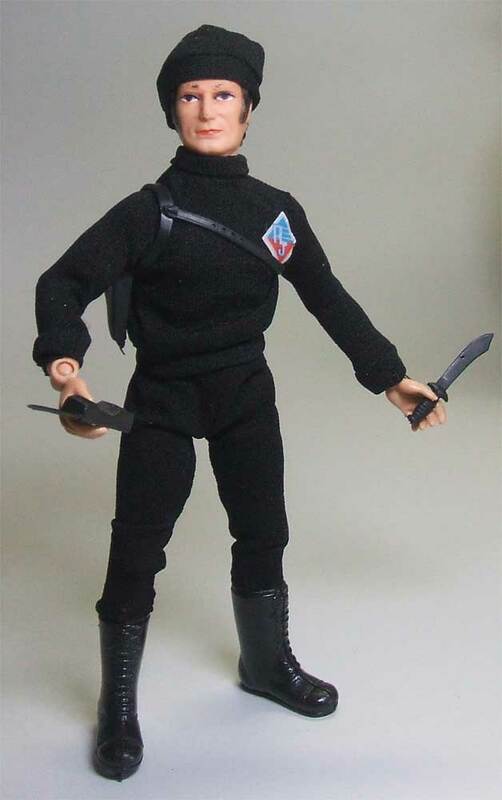 The turtleneck on the repro also lays flat compared to the original. 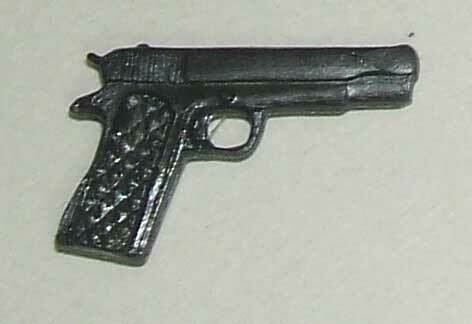 The repro is made of a more modern, slicker material and is unmarked. The original shirt can also be foud on Dinah’s friend Don. 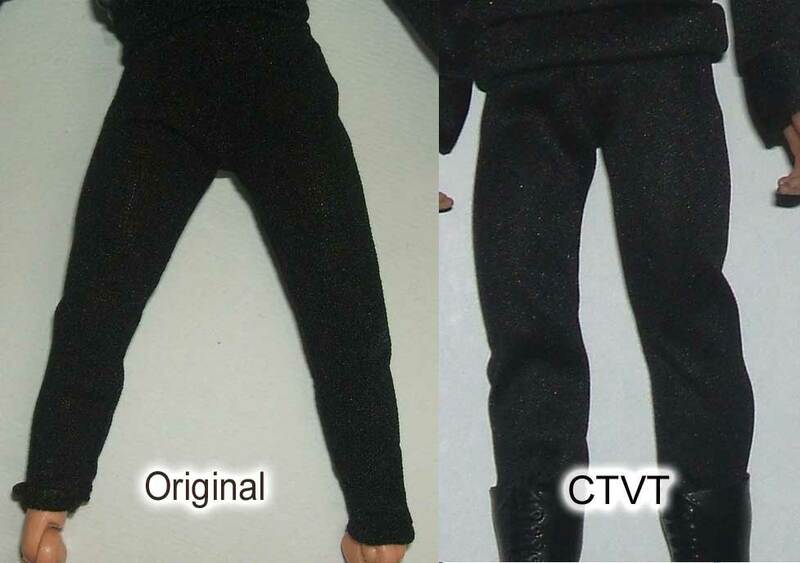 AJ’s pants have been factory reproduced by CTVT for their Jet Jungle reproduction. The repro’s fit looser and are made of a more modern, slicker material. The reproductions are unmarked.